The author teases the palate with her cookbook on old-fashioned Southern comfort food. “Dwell into the nostalgia of the South with patriotic fervor and memories over good food shared by family and friends.”. Clarene J. Gomer paid homage to the good cooks of the yesteryears through the publication of her cookbook on Southern and rural cuisine titled “American Revolution USA: Some Tea Times” (Page Publishing; 2018). The title, as well as the cover, of the cookbook could mislead people but the author intends to inspire home-cooks and foodies “to carry on and preserve the traditions of (the) American Revolution.” The cookbook is a collection of easy-to-follow recipes for Southern comfort food ranging from cookies and candies to salads and soups and preserves and preparation of game such as squirrel and alligator. The author also shared her family’s culinary and agriculture traditions and tucked in a few prayers and poems, including a tribute to President Barack Obama. 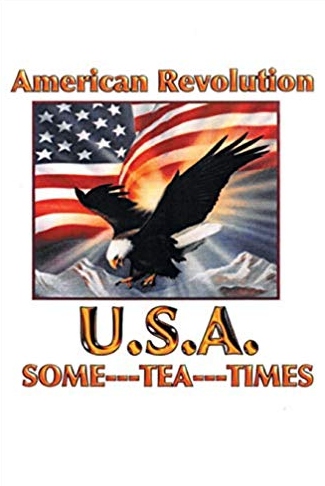 Enjoy the fine taste of the South with patriotic fervor through recipes that evoke generations of meals shared with loved ones in Clarene J. Gomer’s “American Revolution USA: Some Tea Times.” Order today through Amazon and Barnes & Noble. Await the public display of this cookbook at the upcoming Los Angeles Times Festival of Books on April 13-24, 2019 at the University of Southern California in Los Angeles, CA.